Are your ready for your next HomeGate party? 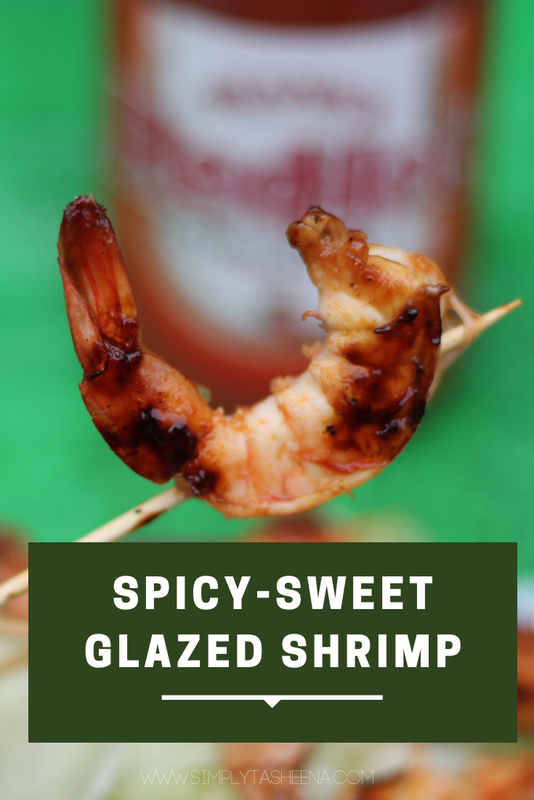 Well, get ready with this delicious Spicy & Sweet Glazed Shrimp recipe! The first time that I made it, I had to make several batches. Everyone loved it! As you guys know I've been looking forward to football season. It's finally time for an epic HomeGate, with friends and family, and friends that become family! We've met so many amazing families through our love for football. It's super cute to watch the guys celebrate when their team wins a game and even more entertaining when they don't. Are you hosting one this year? As you know the Mister is one of the biggest football fans. Growing up, I really didn't watch football. Becoming a boys mom has turned me into the ultimate football mom and fan. Especially with boys who've played football most of their life. Football is pretty much the norm in our home. Especially with everyone having their own favorite team. The Mister being a Giants/Patriots fan and my oldest son is an Eagles fan. I'm the neutral one who cheers on every team. We had the biggest HomeGate last year when the Eagles won. It was so nice to celebrate with friends. I wish I could have attended the parade that would have really been epic. Even when it's not officially football season, we're watching the draft and other football-related events throughout the year. The Mister and I always try to figure out who going to win the Heisman trophy, who's going to be the first draft pick, and the MVP. Each year, the Mister and his friends rotate HomeGate parties, and guess what?! I get to create and try new recipes. Trust me, no one complains about being a taste tester in my home. I tend to try a lot of recipes throughout the season. In hopes to add new stapes. Of course, we always have our staples like Stubb’s® Bar-B-Q Crispy BBQ Chicken Wings, and French’s® Mustard Buffalo Sloppy Joe Dip . I have to make at least two of my staples when we host a HomeGate. The Mister is a huge fan of wings and dips. We typically also bring a variety pack of Mike’s Hard Lemonade. They have a flavor for everyone! I love that there are endless ways to use French’s® Mustard, Frank’s® RedHot, and Stubb’s® Bar-B-Q to make crowd-pleasing game day recipes. Walmart makes it so convenient to host an epic HomeGate during football season. It's so convenient to grab and go! They always have French’s® Mustard, Frank’s® RedHot, and Stubb’s® Bar-B-Q, and Mike’s Hard Lemonade in stock. Their self-checkout lines really make shopping a breeze for all of my HomeGate needs. What do you need to make this savory Sweet & Spicy Glazed Shrimp? Heat grill pan to high. Clean and lightly oil. 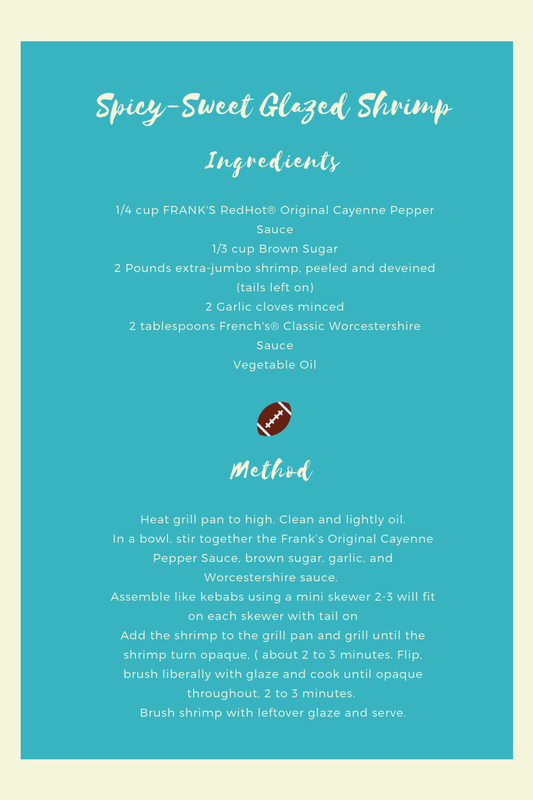 In a bowl, stir together the Frank’s Original Cayenne Pepper Sauce, brown sugar, garlic, and Worcestershire sauce. Add the shrimp to the grill pan and grill until the shrimp turn opaque, ( about 2 to 3 minutes. Flip, brush liberally with glaze and cook until opaque throughout, 2 to 3 minutes. Brush shrimp with leftover glaze and serve. Stubb’s® Bar-B-Q line of sauces, contain no high fructose corn syrup and contains gluten-free ingredients. Mike’s Hard Lemonade has a Bright Side campaign, where they work to inspire good times. Love their tagline "Drink on the bright side"
Frank’s® RedHot was the secret ingredient used in the original Buffalo wings created in 1964, with the perfect flavor combination. French's® Classic Yellow mustard artificial colors, flavors or preservatives, and is only made with #1 Grade Mustard Seeds?! That why it's the #1 choice in my home!! UltimateHomeGate.com has wonderful prizes that you can enter to win!! Like gift cards, a new grill, and let's not forget a bigger TV to watch the game on!! One (1) Grand Prize: The Ultimate Home Gate. Prize includes the following:One (1) 60” Big Screen TV. ARV $800. Brand and model to be determined by the Sponsor at its sole discretion.One (1) Weber® Grill. ARV $700One (1) $100 Fanatics® Gift Card. ARV $100. Terms and conditions of the gift card apply.Total ARV of this prize package $1,600.Four (4) Second Prizes: Each winner will receive the following:One (1) Weber® Grill. ARV $700One (1) $100 Fanatics® Gift Card. ARV $100. Terms and conditions of the gift card apply.Total ARV of each prize package $800LIMIT: One (1) prize per person or household. 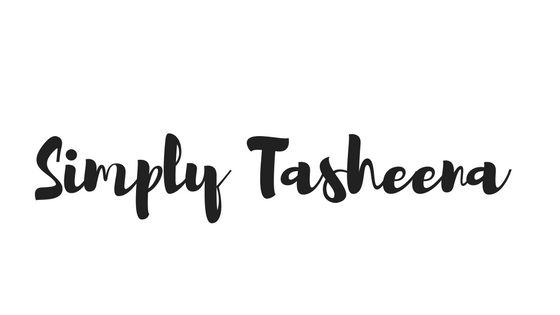 Don’t forget to enter to win! They have wonderful prizes in this sweepstakes! We just did this last night for dinner. Everyone does chicken and so do we but shrimp is excellent with this type of sauce. I will be making these for sure! Only I'd probably do the chicken bites, because I do not like shrimp. The rest of my family does too! And most of us love spicy things. I've never thought to make shrimp this way! It looks so delicious and we are huge seafood lovers at my house. I need to make your recipe this weekend. I've had chicken like this before, but never shrimp. It looks delicious. I have to make this for our next homegating game. This is absolutely perfect for our next game day party! Everybody will love it and Finger food idea is always good for game days. These look delicious! We love food on sticks lol. It's getting a little bit too cold here to still be BBQing outside, so I'm glad we can use out stovetop grill for these. Now this is most definitely up my street! It sounds like it would be absolutely delicious, what a great idea of something to do with shrimp! These sounds really good right now. I would love to munch on this with some rice. These look absolutely amazing. I'll totally try this soon-I'm craving shrimp now! I'm not a huge spicy food fan but these sound and look really good. I may have to give them a try! I love spicy food and Red Hot! This sounds like a delicious dish. You are making me crave spicy food - I'll have to make this recipe soon! That looks wonderful! I need to get some recipes in line. This shrimp looks like the perfect tail gating appetizer! This is such a hot and spicy sauce i have this one. We eat shrimp weekly and I know we would all love this. We love our heat! I love this recipe. I think I am going to try it. It looks very simple and I always have a bottle of Frank's Red Hot in my fridge. We really do put that stuff on everything! I love shrimp and this recipe looks awesome. I'm going to try it. Thanks! I always love a mix of sweet with a little kick. These look delish! Ohh, I have been craving for some shrimps few days ago and I am glad I didn't see this that time, I would die to cravings if that happened!